Choose the one with the dimensions that you want to modify. Then choose the material and thicknesses you want. 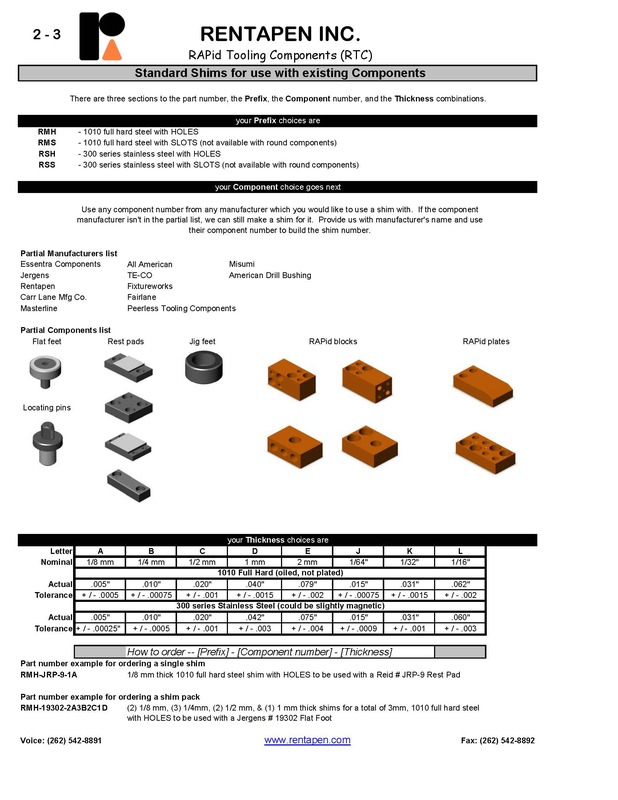 Get part number to incorporate into your design. We can also re-draw the drawing into a file format if you prefer. You can use any shim number from any manufacturer which you would like to match. Provide us with the manufacturer’s name and use their shim number (without thickness designations) to build the shim number. 4. Component shims that fit under some other purchased component from Essentra, Carr Lane, or Jergens. For example you can use the number for Jergens Flat Foot and add the quantity and thickness that you want.